This is the second part of Stories of Apple’ interview with Dan Crow, who was originally hired by Apple to work on AMT (Apple Media Tool) but stayed on and contributed to other important Apple multimedia technologies. SoA: After AMT you worked on QuickTime: what did you contribute? DC: I initially worked on QT 3.0. I helped write many of the standard QuickTime effects that were introduced in the 3.0 release, as well as helping engineer some of the core QuickTime event handling code. I also got involved with the QuickTime interactive project (QTi) which was designed to be the next generation of QuickTime architecture. It was interesting stuff, but I was still more interested in applications, especially multimedia authoring apps. After 3.0 was released, I moved over to manage the QuickTime applications team which was responsible for the QuickTime Player and PictureViewer applications as well as HyperCard – more about HyperCard below. We re-architected QTPlayer during my time on the team, making it a much more robust piece of software. We also introduced the infamous new UI in QuickTime 4.0. This was the first use of the “brushed metal” look in an Apple product – a UI that is still used in Mac OS X today. 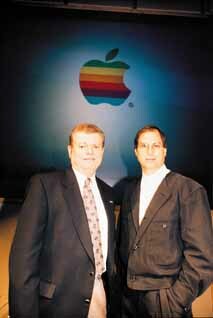 The UI team and I worked closely with Steve Jobs to design that new UI, which was quite an experience. After the launch of QuickTime 4.0, I decided I wanted to go back to working as an engineer for a while. I was interested in the Java programming language, which was just gaining popularity at the time. I joined the Java team working on the first release of the Apple JVM for Mac OS X, which was approaching its first beta release. I got to work on the Java event handling system and contributed to the Mac OS X Carbon event handling stack. I also implemented the JVM integration for Microsoft’s first Internet Explorer release for Mac OS X . This was particularly interesting as it involved me working at Microsoft for three months while I implemented the JVM hooks in their code. It was strange being an Apple employee working on Microsoft source code inside the Microsoft engineering labs in Mountain View! By this time of course, Steve Jobs had returned to Apple and the company was beginning its renaissance with the launch of the iMacs and Mac OS X. I had been at Apple for four years and wanted to move on. I was also living in San Francisco and feeling the effects of three hours of commuting to Cupertino every day. I left Apple and joined the first of a string of startups in San Francisco. SoA: How was working on Hypercard? What was its role in the Apple of the late Nineties? DC: Apple was very ambivalent about HyperCard in the late 90s. To be honest, I don’t think many in the company fully understood it or its potential. HyperCard had been bounced over to Claris then moved back to Apple. When I managed the engineering team, we were working on HyperCard 3.0 which was going to be a ground-up rewrite. We were reimplementing the code in C++ and making it a tool to author interactive QuickTime movies. This would have allowed HyperCard stacks to run anywhere QuickTIme was available – meaning on Microsoft Windows and on websites. 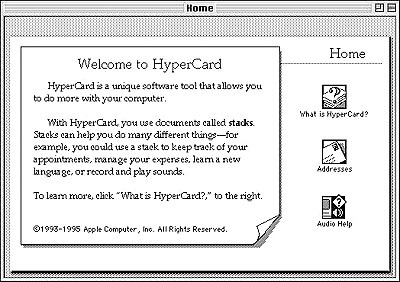 HyperCard’s great strength was it was allowed non-programmers to create complex, rich applications. 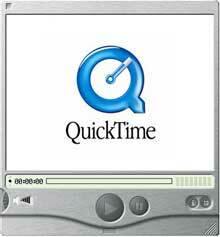 The potential of having these users creating their applications as QuickTIme movies was very exciting. Unfortunately, our management, and in particular Steve Jobs, didn’t see the potential, and in late 1998 the HyperCard project was canceled and the team dispersed. SoA: How was Apple after the return of Steve Jobs? DC: Steve’s return to Apple was extraordinary. He transformed the company and I have no doubt at all that he saved it. Apple was struggling and losing a lot of money. Morale within the company was very low and the employees had lost trust in the executive management. Apple had built its reputation as a consumer-focused company and seemed to have lost its way, it no longer seemed to care about consumers, but hadn’t found a new group of users who wanted its products. Steve’s return electrified the company, in part because of his reputation as the founder of the company, and in part because he immediately took charge and started to transform Apple back into a consumer-focused company. Steve’s great talent is his extraordinary intuition for creating products that consumers love. He understands how to integrate form and function into truly compelling products – the iMac, the iPod, the iPhone and Mac OS X are all examples of this. He also knows that for a company to succeed it must focus on a vision and execute ruthlessly. He saw an Apple that had hundreds of products with no clear unifying theme. He quickly set about removing projects that didn’t align with his vision of what Apple should be. He created new projects – most notably the iMac – that clearly stated who Apple’s customers were and what the company would do. Within a year he had transformed the company, both financially and as an organization. it was fun and exciting to work for Apple again. When you told family and friends you worked there suddenly the questions went from “Apple who?” to great interest in what was going on and what was coming next. The flipside of Steve’s genius is he’s a painful boss to work for. His standards are extraordinary and he expects nothing but the absolute best from those working with him. He drove himself and the company extremely hard. We needed it, but it also burnt out a lot of good people. SoA: How would you sum up the years you spent working for Apple? DC: It was four years of the most exhilarating and frustrating times. Seeing Steve turn Apple around was incredible. I learned so much about software, people and organizations during my time there. I wouldn’t trade that experience in for anything. On the other hand, I don’t think I’d do it again. SoA: Is there any particularly funny or weird story you were part of or you witnessed at Infinite Loop? DC: Yes, lots, most of which I couldn’t repeat. There was the time a group of us tried to sell Steve on eBay. On another occasion a colleague of mine leaked some remarks Steve had made at an internal meeting to the press, then got called into Steve’s office for a “discussion” which was a pretty traumatic experience for her. But my favorite story is this: Infinite Loop is a series of buildings that surround a very large and pleasant grassed area. There were benches and pathways through this area where you often saw small groups gathering to discuss matters or play frisbee. One day I was walking across to the cafe when I saw the familiar sight of Steve on one of the benches. He was deep in conversation with a rather small and disheveled looking man. I knew Steve as he was working on the QuickTime UI project at the time, so I said “hi” as I walked past. Steve said “hi” back and the man he was with looked up and said “hi” too. It was, of course, Bill Gates. I still don’t know what plans the two of them were hatching, but I’m sure it changed the world. SoA: What are you working on, now? DC: After leaving Apple I worked at several startups. My first, Verb, lasted a year and then ran out of money, right at the bottom of the 2000/2001 dot-com implosion. I moved on to work at a company called guru.com which was eventually acquired by Unicru. After three exciting years there, I wanted to try my hand at another early-stage startup. I co-founded a company called Blurb.com with Eileen Gittins, who had been my CEO at Verb. I got Blurb off the ground, helping it develop and launch the first version of its BookSmart software. Blurb lets anyone create and publish their own bookstore-quality books – go to blurb.com and try them out. This took me to 2006, by which time I had been living in San Francisco for ten years. My wife and I decided it was time for a change of scenery and lifestyle, so we decided to move to New York. I was lucky enough to get an interview with Google’s New York office, and for the last eighteen months I have been working as a Product Manager for Google. I started out working on the search quality team dealing with our crawling systems. I’ve recently started on a new project, which I’m afraid I can’t tell you much about right now – come back in a year and I’ll tell you all about it. Update: this interview was done during 2008. In the meantime I checked on Dan and he let me know that his project was Google Squared and that “the technology that powers its is now being used to answer certain types of query in Google’s core web search”. After leading the Squared project and working on it until July 2009 Dan is now working in Google’s London office on advanced advertising systems.